Rhinoplasty, sometimes referred to as a nose job, is one of the most popular surgeries performed in cosmetology. It can correct many problems related to the nose that may have arisen due to genetics, trauma, deformity, or disease. There are plenty of reasons why people opt for rhinoplasty in Mumbai. Whether it is to reshape what nature has given for you, repair damage from an accident or injury, or to alleviate the structural issues that obstruct breathing, thousands of patients get it performed every year. People are getting more conscious about their appearance and this has made them look towards plastic surgery to take care of unwanted issues. Plastic surgery deals with the repair, reconstruction, or replacement of physical defects involving various parts of the body such as the skin, musculoskeletal system, hands, breasts, etc. It also involves the cosmetic enhancement of these parts of the body. If you are planning to go under the knife for cosmetic purposes, it is necessary that you choose the best cosmetic hospital in India. This is because all cosmetic surgeons do not have the same level of competence nor do they have the same kind of expertise. So make sure the hospital you choose is the best. But how do you do that? There are many ways to make your search easy. 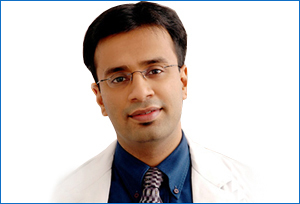 Looking for a plastic surgery hospital in Mumbai? Here’s the help you need. If you are looking to get plastic surgery Mumbai done, then remember that you are going to have to live with the results for many years and hence caution is something you can’t have enough of. A procedure that has been well-done will no doubt boost your self-esteem because you are going to love yourself more. A disastrous procedure may well be the end of all your confidence. So choose wisely. Rhinoplasty is a procedure that will change the shape of the nose for aesthetic or functional purposes. It is also known as a nose job. This procedure was first developed in ancient India back in 800 BC. From then until the 1970’s, the technique used was closed rhinoplasty. Thanks to development and advancement in the field, open rhinoplasty became available in the ‘70s. Getting a face lift is one of the ways to use science order to “control” aging. According to statistics, the face lift is one of the most common procedures sought by both men and women who are looking to get a more youthful look.